This Awesome One of a kind Sugar Skull wall décor is 18" x 16". I handmade the Frame . 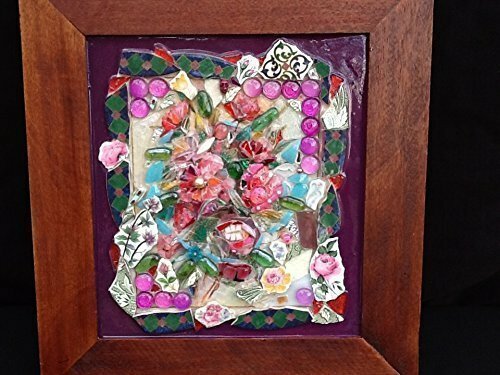 I mosaiced this wall art with broken glass , stained glass pieces dishes , china, baubles, beads . Look closely as it looks like just a pretty picture of flowers then you see it Sugar Skull. Ready to ship.